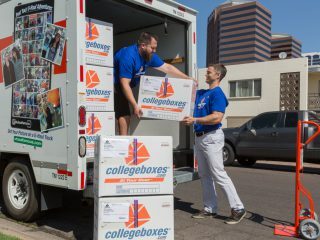 PEORIA, Ariz. — It will be a special day of thanks this holiday for the Gil family thanks to Kurt Warner and U-Haul. 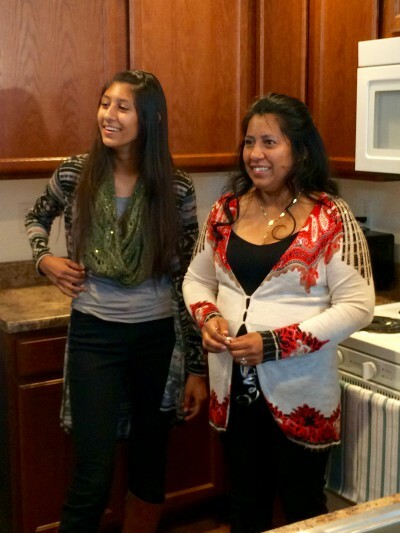 Luz Gil, a single mom of three, qualified for a brand new home through Warner’s First Things First Foundation and its Homes for the Holidays program, which works in conjunction with Habitat for Humanity Central Arizona. Luz and her three children had to work hard and helped in the home-building process. Two days before Thanksgiving, the Gil family came to their new home in Peoria, believing they were there to pick up the key. 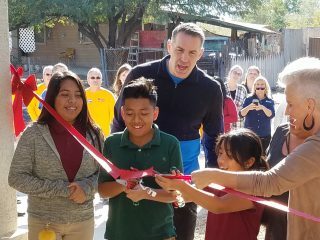 Instead they were greeted by news cameras, former Arizona Cardinals quarterback Kurt Warner, and his wife, Brenda. 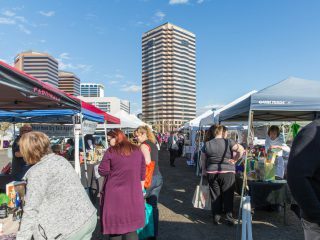 “We do it because we can; it’s such a blessing to know they are in a safe home, they get to start over fresh,” Brenda said. Even though Kurt couldn’t speak due to a broken jaw, he wouldn’t miss the event. After congratulating the family, and blessing the home in prayer, Brenda told Luz’s oldest son, David, to cut the red ribbon and go inside. Smiles and tears spread as the family members realized their new three-bedroom home was entirely furnished. 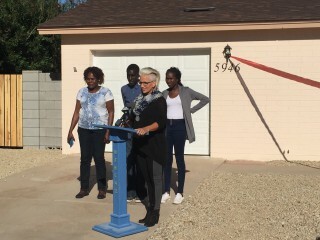 The First Things First Foundation, through its Homes for the Holidays program, helped place the Gils and another low-income, working single-parent family in the Valley into new homes. 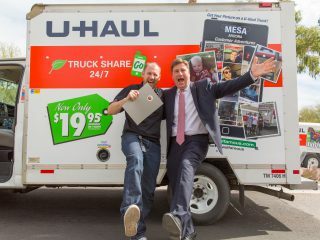 U-Haul assists in furnishing the homes as part of its program sponsorship. 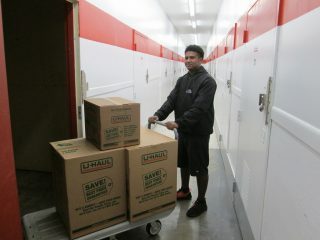 U-Haul has been a proud partner of Warner’s organization for much of the last nine years. 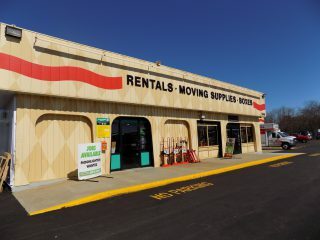 Established in 2001, First Things First is a public charity which serves as a vehicle for Kurt and Brenda as they reach out to the community to share their blessings with those in need. Brenda was once a single mom living on food stamps. She knows what it’s like to struggle. She also knows how it feels when people are there to lend a helping hand. “I know that they are going to enjoy a Thanksgiving meal in their own home, and to think of the laughter and think of the hugs, it just blesses my heart,” Brenda continued. The Gils had been living in a two-bedroom trailer home where Luz shared a room with her teenage daughter. Luz spoke few words as she walked from room to room of her new home, but there was no denying her emotions as tears swelled in her eyes. 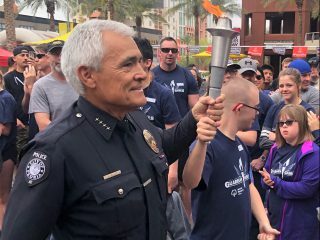 David couldn’t wipe the smile from his face and he clapped several times as he was escorted through the home. The 20-year-old is a special-needs individual, but he needed no words to communicate pure joy. 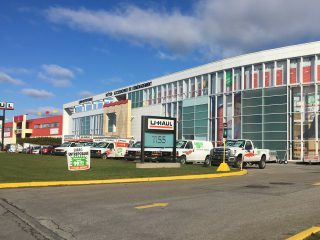 U-Haul Team Members shop for the home furnishings, help decorate the house and are present when the home is revealed to the family, per its longstanding partnership with First Things First. It may take a day or two for the shock to wear off for Luz. Her prayers were answered. Her family will dine together on Thanksgiving and have one more reason to give thanks.